Beatty, Nevada is similar to many of the little towns we have driven through or stayed in on this road trip. Since the trip was planned late, David did not try for accommodations in the parks. This is the 100th anniversary of the National Park System so even a larger number of visitors are expected. He would select a neighboring small town near the parks and search the internet for a nearby motel. We wanted clean, near-by , and reasonably priced . This is the Exchange Club Motel in Beatty. Usually the price of staying the night included a simple but filling breakfast of cereal, coffee, yogurt, fruit, and bagels. That is convenient before leaving for touring for the day. This motel had coffee in the room but no breakfast. 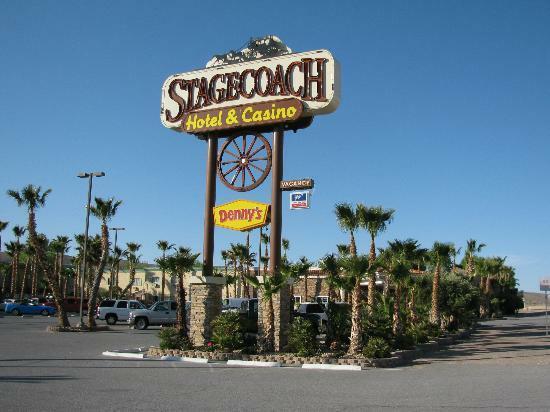 Actually, the picture at the top was what I was going to talk about was the Stagecoach Casino. We are not gamblers and were put off that the only restaurant in town was the Denny’s inside the casino. The west and southwest of the United States is full of these little casinos, we saw one in almost every little town in which we stayed. Most of the casinos are owned and run by Native Americans. Don’t get me wrong, I am for anything that helps the Natives who for so long have been mistreated and cheated in the US. I hope that they are benefiting by the money from the casino, and not being cheated yet again. David had visited Las Vegas with our son Christian and told me that there are no windows or clocks in the building. That is give the allusion that there is no time or time of day. We saw people smoking which David said was another trick. The house doesn’t want the patrons to leave to smoke, as they may not return. There was a kid’s room which was disconcerting to me, filled with video games for kids who came there with their family! Also there is food available 24 hours a day. Since Denny’s was the only restaurant in town, we had to walk through all the rooms to access the restaurant. There were not many people there and we were greeted enthusiastically. We both ordered steak salads. The meat was unlike any I have ever had so I stopped eating it not wanting to eat some unknown animal. As we left immediately after we finished eating, I said how “dark” it all seemed to me and David said it seemed “sad” to him. Which was a great adjective. There is no doubt that is the atmosphere that we felt as we walked through the slot machines which were manned and woman-ed by grandparents. Now don’t get me wrong, I am not such a prude and there is no problem for people to gamble for fun and stop at an appropriate time, remembering that the “house never loses!” But no one ever chooses to become an addict. Knowing of people getting terrible addictions to gambling, for me, it is just something I don’t want to start. I would love to know your thoughts! This entry was posted in Architecture, Travel, Uncategorized, USA and tagged addiction, Beatty Nevada, Casino, Denny's, Exchange Club Motel, gambling, Southwest US, travel. Bookmark the permalink.